The new all-wheel-drive 2017 Nissan GT-R NISMO, with new fascia, reinforced hood and interior along with a redesigned dashboard and steering wheel, is powered by a 600 horsepower twin-turbocharged 3.8 liter V6 engine mated to a 6-speed dual-clutch transmission. The car's new shape generates more downforce than any other Nissan production car to date for high-speed stability. The 2017 Nissan GT-R NISMO will be available in four exterior colors. The 2017 Subaru BRZ receives several internal updates for friction reduction including new valves, camshaft and cylinder heads in its 205 horsepower 2.0-liter SUBARU BOXER engine with the 6-speed manual transmission and accompanied with a new aluminum intake manifold and redesigned exhaust manifold for increased air flow. Subaru offers the 2017 BRZ in Premium and Limited trims and a Performance Package is available on the Limited model with the manual transmission that includes Brembo® calipers and larger rotors on both front and rear brakes. All trims now receive an aluminum rear spoiler in matching body color and black finish. The Premium and Limited models will begin arriving at retailers in early September while the Limited with the Performance Package will arrive at retailers Winter 2017. The 2017 Subaru Outback, the fifth generation Outback, offered in four trim levels, starts at $26,520 (including $875 Destination & Delivery). 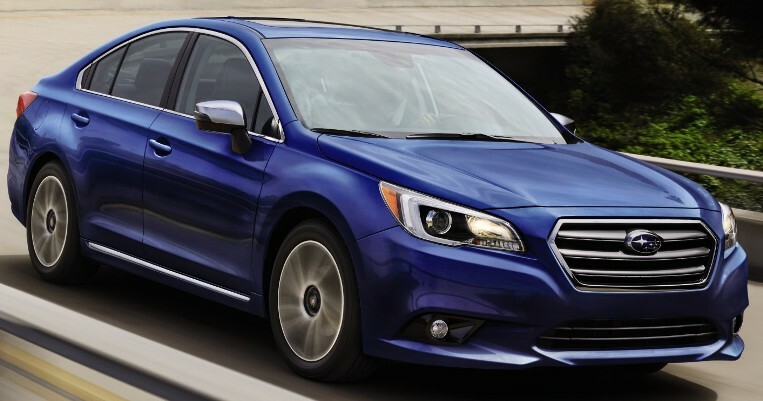 Outback comes standard with a 2.5-liter Boxer engine and Lineartronic CVT with manual mode and paddle shifters that achieves 25 mpg city/32 mpg EPA-estimated fuel economy. New for 2017, Limited and Touring trim models receive Reverse Automatic Braking, which detects object when reversing and automatically triggers an alert and brakes the vehicle to avoid a collision and High Beam Assist as standard, in addition to Blind Spot Detection and Rear Cross Traffic Alert. Outback Limited and Touring models are also available with a 256-horsepower 3.6 liter, 6-cylinder Boxer engine teamed to a high-torque Lineartronic CVT with manual mode and paddle shifters. The 2017 Subaru Legacy 2.5i, featuring a 175-horsepower 2.5-liter Boxer engine and standard Lineartronic® Continuously Variable Transmission (CVT) with manual mode and paddle shifters, has a starting MSRP of $22,870 (including $875 Destination & Delivery). Legacy Limited models are also available with a 256-horsepower 3.6 liter, 6-cylinder Boxer engine. The Aston Martin Vanquish Zagato Concept, the fifth car from the Aston Martin collaboration with Zagato's design language, is entirely shaped from carbon fiber, with the split lines on the body reduced by the use of large one-piece panels and is powered by a 592 horsepower V12 engine. The 2016 Infiniti Q50 3.0t with the all-new 300-horsepower 3.0-liter V6 twin turbo engine, starts at $40,805 (including $905 destination and handling) for the Premium rear wheel drive model. The 2016 Infiniti Q50 with a new 2.0-liter I4 turbo starts at $34,855. The Q50 also offers a 3.5-liter V6 hybrid, and the performance flagship of the Q50 portfolio, the Q50 Red Sport 400 equipped with an 400-horsepower version of the 3.0-liter V6 twin turbo engine has a starting MSRP of $48,885. The new Q50 3.0t models complete the 2016 Q50 lineup, which now offers a choice of four powerplants and 12 models now at Infiniti retailers nationwide. 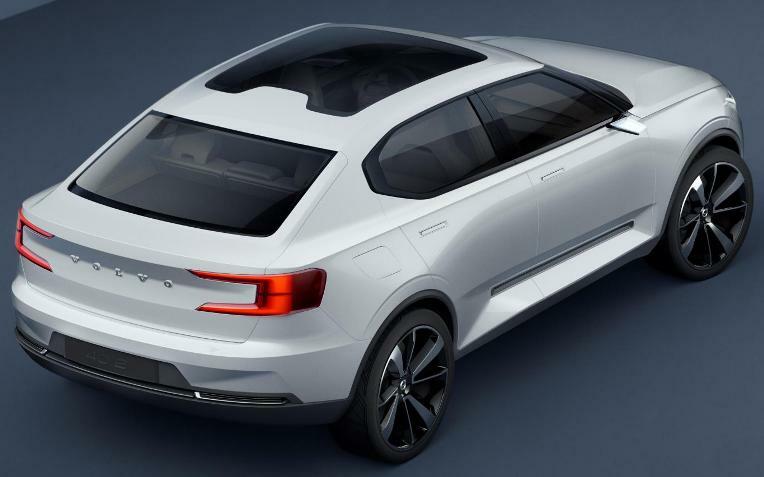 Volvo Cars two new 40 series concepts (40.1 above - 40.2 below) demonstrate how Volvo plans to expand into the large and lucrative global market for premium small cars built around Volvo’s new Compact Modular Architecture, which has been specially created for smaller cars. Volvo’s new global small car range will include a pure battery electric vehicle as well as Twin Engine plug-in hybrid powertrain variants. Volvo plans to sell up to 1 million electrified cars by 2025 globally. The first new 40 series car is expected to go into production in 2017. 2017 Mercedes-Benz GLC Coupe, almost 3.2-inches longer and 1.6-inches lower than the GLC which shares its basic architecture, comes in a GLC300 4MATIC with a 241 horsepower four-cylinder engine mated to a 9G-TRONIC nine-speed automatic transmission while the Mercedes-AMG GLC43 Coupe boasts a 362 horsepower 3.0-liter V6 Biturbo engine. The GLC300 4MATIC Coupe comes standard with an off-road suspension including DYNAMIC SELECT with the five transmission modes: ECO, COMFORT, SPORT, SPORT+ and INDIVIDUAL. The GLC300 4MATIC Coupe and AMG GLC43 Coupe will go on sale by early 2017. The new 2017 BMW 230i Coupe and BMW 230i Convertible are powered by the latest generation 248 horsepower 4-cylinder 2.0 liter engine while the new BMW M240i Coupe (pictured above) and BMW M240i Convertible feature a new 335 horsepower 3.0-liter inline 6-cylinder gasoline engine mated to the 8 speed Steptronic Sport Automatic transmission as standard and rear wheel drive models are also available with a six-speed manual gearbox as a no cost option. These M Performance vehicle can also be ordered with BMW xDrive intelligent all-wheel drive. Prices for these models will be released closer to its market launch this summer. The new 2017 BMW i3 (94 Ah) is a new model of the i3 compact electric car, that has more than a 50% increase in battery capacity to 33 kilowatt hours (kWh) due to the higher energy density of the lithium ion cells which is expected to deliver up to 114 miles combined city/highway driving range under everyday conditions and an expected EPA electricity consumption of 27 kWh/100mi.. The driving performance figures of the 170 hp AC synchronous electric motor remain virtually unchanged with a 0 to 60 mph time of just over 7 seconds. When equipped with the Range Extender, if the driver requires additional range, the 2-cylinder gasoline engine is switched on once the battery is depleted to 6.5 percent state of charge and keeps the charge level of the battery constant while driving and provides an additional range with a 25 percent larger fuel tank (2.4 gallons). With the introduction of the BMW i3 (94 Ah), BMW i now also offers a new BMW Home Charger Connect, a residential charging station designed for comfortable and fast home charging featuring additional connected functions. 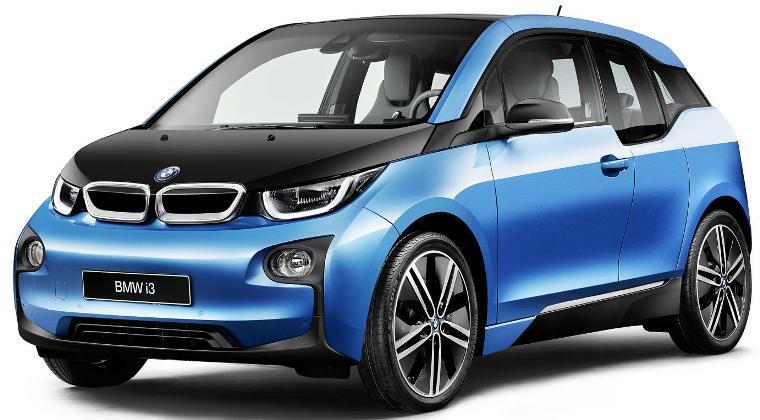 Pricing for the 2017 BMW i3 (94 Ah) will be released closer to market launch. 2017 Ford F-150 gets the all-new second-generation 3.5-liter EcoBoost® V6 engine, providing 30 lb.-ft. more peak torque up to 450 lb.-ft., and a 10-speed transmission for improved acceleration and performance. The engine features dual-direct and port fuel-injection system with two injectors per cylinder to improve power output, efficiency, and emissions. All-new turbochargers deliver more boost thanks to improved twin turbos and a lighter turbine wheel. The 2017 Ford F-150 goes on sale this Fall. Google’s self-driving technology will be integrated into around a hundred 2017 Chrysler Pacifica Hybrid minivans to expand Google’s existing self-driving test program as Google for the first time collaborates directly with an automaker, in this case FCA, to put its autonomous driving sensors and software, into a passenger vehicle. The self-driving Chrysler Pacifica Hybrid minivans will be tested by Google’s self-driving car team on its private test track in California prior to operating on public roads. Google’s self-driving cars are currently being tested in four U.S. cities. Both companies will co-locate part of their engineering teams at a facility in southeastern Michigan to accelerate the design, testing and manufacturing of the self-driving Chrysler Pacifica. The Subaru Legacy Sport debuts as a 2017 model powered by the all-wheel drive 175 horsepower 2.5-liter SUBARU BOXER engine paired with a standard Lineartronic® CVT (continuously variable transmission) with manual mode and paddle shifters delivering a combined 29 MPG EPA-estimated fuel economy rating. Sport features include a dark gray front grille, fog lights with gloss black housings, newly designed 18-in. sport-styled wheels, chrome-accented rocker trim and high luster silver-finished turn-signal mirrors. Inside, two-tone pairing of gray and black cloth upholstery and blue stitching on the seats, door panels, and steering wheel, a carbon fiber pattern dash and door panel trim. The Sport package includes a standard SUBARU STARLINK 7.0” Multimedia Plus system with a high-resolution 7-inch LCD screen with Bluetooth® hands-free SMS text messaging and dual USB ports. The new Sport trim also offers Reverse Automatic Braking and High Beam Assist as part of the EyeSight Driver Assist Technology option package. 2017 Subaru Outback Touring, the new flagship model, is available in both the 175 horsepower 2.5-liter 4-cylinder and the 256 horsepower 3.6-liter 6-cylinder engines. Debuting on the 2017 Outback model line, Reverse Automatic Braking helps the driver avoid a possible collision when the vehicle is moving in reverse. EyeSight® Driver Assist Technology along with Blind Spot Detection and Rear Cross Traffic Alert are standard and are paired with the new High Beam Assist feature. The models will arrive into retailers later this Summer. General Motors (Chevrolet, Buick, GMC, Cadillac) total April sales were 259,557 vehicles, down about 4 percent while retail sales of 200,656 was up 3 percent. Ford Motor Company’s U.S. sales of 231,316 vehicles was an increase of 4 percent in April versus a year ago with retail sales also up 3 percent, for its best April retail results since 2006. Lincoln April sales of 9,776 was a 20.2 percent jump over a year ago. Year-to-date Ford sales of 876,942 is a 7.3 percent increase over 2015. Toyota Motor Sales, U.S.A., reported April 2016 sales of 211,125 an increase of 3.8 percent from April 2015. Toyota division posted April 2016 sales of 186,243, up 5 percent while Lexus posted sales of 24,882, down 3.8 percent. FCA US (Chrysler, Dodge, Ram, Jeep, Fiat, Alfa Romeo) reported U.S. sales of 199,631, a 6 percent increase compared with sales in April 2015 for the group’s best April sales in 11 years. American Honda reported a new April sales record of 148,829 Honda and Acura vehicles, an increase of 14.4 percent for the month. Year to date American Honda sales reached 506,532, up 9.2 percent. The Honda Division set a new monthly record with 132,623 units sold in April, an increase of 15.1 percent compared to April 2015 with year to date sales up 10.5 percent. Acura Division sales totaled 16,206, an increase of 9 percent in April with year to date sales reaching 54,081. Nissan Group announced total U.S. sales for April 2016 of 123,861, an increase of 13 percent over the prior year and an April record. Nissan Division finished April with 113,429 sales, up 14 percent, an April record. Year-to-date Nissan Group sales are 524,065, up 9.8 percent. Hyundai Motor America reported sales of 62,213 for April, down 8.5 percent versus a record-setting April 2015. Year-to-date sales of 235,543, is a 1.9 percent decline from 2015. Kia Motors America reported all-time high April sales of 56,508, up 6.1 percent over the same period last year. Year-to-date sales of 202,829 is a 4.3 percent increase over 2015. Subaru of America reported record sales for April 2016 totaling 50,380 vehicles, a 6.6 percent gain over April 2015. Subaru reported year-to-date sales of 182,777 vehicles, a 2.4 percent gain over the same period in 2015. Volkswagen of America reported sales of 27,112 vehicles delivered in April 2016. Year-to-date sales of 96,426 is down 11.7 percent froma year ago. Separately, Audi set its 64th consecutive U.S. sales record for April with 17,801 vehicles sold, an increase of 5.8 percent over last year while year-to-date sales increased 5 percent to 59,761 vehicles sold. Mercedes-Benz USA reported best-ever April sales with 29,236 vehicles sold, up 0.2 percent for the month. Vans reported 2,589 units, and smart reported 466 units for the month, bringing MBUSA grand total to 32,291 vehicles for the month, down 0.4 percent and 116,600 sold year-to-date, a drop of 0.9 percent. Mazda North American Operations reported April U.S. sales of 26,195 vehicles, representing an increase of 8.6 percent versus last year. Year-to-date sales through April are 90,838 vehicles. BMW brand vehicle sales of 24,951 is a decrease of 7.4 percent compared to April, 2015. Year-to-date, BMW brand is down 9.4 percent on sales of 95,564 compared to the first four months of 2015. Mitsubishi Motors North America reported April 2016 sales of 9,674 up 17.7 percent from April of last year and is the best April sales since 2007. Year-to-dates sales of 34,866 is an 8.9 percent increase over a year ago. Jaguar Land Rover North America reported for both brands hit 6,275, a 2 percent decrease. Land Rover sales reached 5,188, a 2 percent decrease from April 2015 and Jaguar sales were 1,087, a 1 percent increase. Volvo Car USA reported U.S. sales of 6,169 vehicles, a 33.1 percent increase versus April 2015. Year-to-date sales are up 22.7 percent over the first four months of 2015. 17,648, up 6 percent over last year. Sales will be updates as manufacturers report. The all-new 2017 FIAT 124 Spider roadster, a highlight introduction at last November's Los Angeles Auto show, will be powered by a turbocharged 160 horsepower MultiAir 1.4-liter engine with a six-speed manual transmission and will start at $25,990 (including $995 destination charge). The Classica trim with a six-speed automatic transmission is $27,340, the Lusso with a six-speed manual transmission is $28,490, and the Lusso with a six-speed automatic transmission is $29,840. The Abarth with 165 horsepower offers a sportier, more responsive driving experience and starts at $29,190 and the top-end Prima Edizione Lusso has a U.S. MSRP of $35,995. The six-speed manual transmission is expected to get 26 city / 35 highway MPG and the six-speed automatic transmission 25 city / 36 highway MPG.